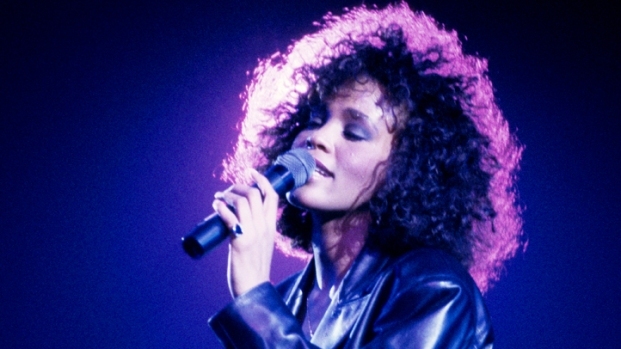 The New Jersey cemetery where Whitney Houston was laid to rest Sunday was shut down to fans Monday afternoon after cemetery officials became concerned about growing crowds. Authorities said groups of people continued to enter the solemn grounds of Fairview Cemetery Monday to pay their respects to the late superstar. The number kept rising throughout the day, a holiday and just one day after Houston was buried. Around midday, news cameras were asked to leave, and officials started asking fans to move back from the soft ground surrounding Houston's gravesite. By late afternoon, the crowds were "unbelievable," according to one police officer, and shortly before 3 p.m., cemetery officials asked police to close the site to fans. Only visitors with relatives buried inside Fairview were being allowed in. All others driving up to see Houston were told to move on. Bridge Johnson, a fan from Irvington, said he understood because the burial was so recent. "I would say to myself I should wait and come maybe a week or two later," he said. "But then I took a chance and got turned away." Houston was buried in Westfield's Fairview Cemetery next to her father John Russell Houston, who died in 2003. Her gravesite did not have a tombstone yet but was marked by flowers and other mementos. One police source told NBC New York that people were jumping the fence at the cemetery shortly after Houston was laid to rest. Police said they expected to patrol the plot around the clock, likely for the next month. When Fairview allowed the public in earlier Monday to view Houston's burial site, two Westfield police officers stood watch about 30 yards from the grave to ensure the public did not touch or remove anything from the gravesite. "My heart is just beating a mile a minute just to know I'm close to her soul," said Patricia Wagner of Cranford. A law enforcement source told NBC New York some members of the Houston family stopped by the cemetery to pay their respects, but became upset and left when they realized the grounds were open to the public. Cemetery officials told NBC New York the ground was too soft to accommodate the large crowds. But they now face the challenge of how to handle fans who want to return again and again. The 48-year-old Houston died Feb. 11 in California, hours before she was to attend a pre-Grammy Awards party. No cause of death has been determined.